The leaked pictures of Rajinikanth are from his look test for AR Murugadoss' Thalaivar 167. 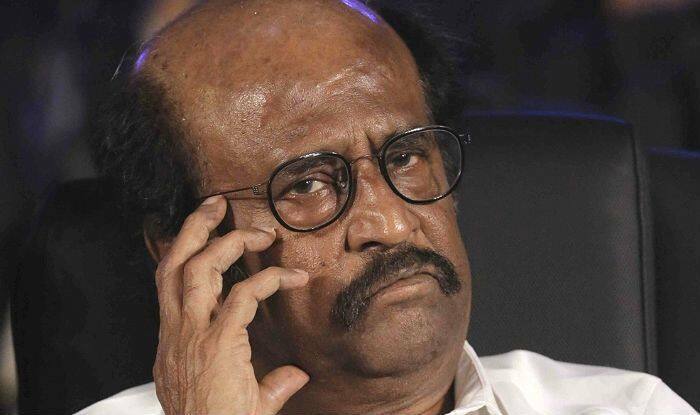 Actor Rajinikanth’s look from his next film, Thalaivar 167, with director AR Murugadoss, has reportedly been leaked online. In the pictures that are believed to be from the sets of the film, Rajinikanth is seen dressed up as a cop. The ardent fans of Thalaivar didn’t take much time to make the photos go viral on social media. However, some fans have been requesting to not share the pictures and help the filmmakers by not leaking anything related to the film online. Various media reports suggest that the look test of the actor was done on April 4 at a popular studio in Chennai. The pictures that are being circulated online are said to be from the same shoot. Rajinikanth is expected to play dual roles – a cop and a social activist, in the film. This is for the fourth time that the actor will be seen donning the ‘Khaki Vardi’ on-screen. The superstar has played the role of a cop earlier in films like Pandian (1992), Moondru Mugam (1982), and Kodi Parakuthu (1988). It is also said that the makers of the film are planning to take strict action against those who leaked the images. The actual shooting of the film will take place from April 10 post a mandatory pooja by the team. Actor Nayanthara has been roped in to play the lead opposite Rajinikanth in the film. Another interesting detail about Thailavar 167 is that a popular Bollywood actor has reportedly been approached to play the antagonist in the film. It’s set to hit the screens next year. Meanwhile, apart from several Tamil hits, director AR Murugadoss has directed Hindi films as well. He helmed Akshay Kumar starrer Holiday: A Soldier Is Never Off Duty in 2014 and Akira, starring Sonakshi Sinha, in 2016. Rajinikanth was last seen in sci-fi action drama 2.0 with Akshay Kumar and Amy Jackson. The film was the sequel to his superhit bilingual film Robot.